This blog post is for Seniors and Juniors. You will all need to take the ACT or SAT and then (likely) send your best scores to your colleges. (If testing is not your strong suit, you can look at www.fairtest.org for a great list of colleges who do not require any test scores–yay!). Seniors are finishing up testing in Fall, and Juniors are doing test prep and perhaps getting started testing. Juniors, you have the PSAT in October and this makes you eligible for scholarships, as well as starts the whole marketing process on behalf of the colleges, so do your best. These tests are not offered during the summer. You can register for the ACT (with writing!) at www.act.org, and the SAT at www.collegeboard.com. Sign up now because test centers fill up. If cost is an issue for you, then you can send 4 free scores to your colleges with your registration. If you can afford to let this $44 savings go ($11 per score), then you may want to wait and send only your best scores to your schools, after you know what your best scores are. You fall into two groups: those applying before Christmas and those applying after. You are applying to selective colleges and universities and you have likely been working on your college list since sometime during Junior year. Ideally, all of you should try to be finished submitting all of your applications before Thanksgiving, for optimal results. You, therefore, need to be finishing up your ACT/SAT testing now, this Fall, for best admissions results. 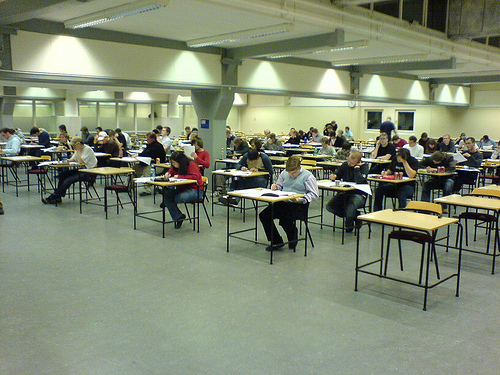 Many colleges will accept the November test dates, and some of them will accept the December test dates. If you are finishing up your testing this Fall, then you will want to check with each of your colleges and see which test date is the last they will accept. If you are applying for Early Action or Early Decision then it is *decidedly* to your advantage to have your test scores sent and received by the college before the due date of your early app. If a college is waiting for your test scores, they may not consider your app as having been received on time since pieces are missing. They may then cut you from the pool altogether (which means you would be denied!) or they may roll you into the regular pool. Check online to see what their policy is for cutting or rolling incomplete apps and if you can’t find this info, call and ask. To be safe, send your test scores to your colleges 2-3 weeks before the application is due since the colleges receive test scores in batches every few weeks from the ACT and SAT. They do not receive the scores every day, nor overnight–so understand this delay. If you are really desperate you can pay the extra fee ($16) and rush your scores to your colleges; this is only acceptable if your colleges accept rush scores, which some of them do not, so check before rushing scores or this could hurt you! 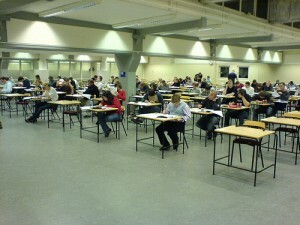 Rushed scores are typically received in two days. Doing anything on a deadline over the Christmas holiday is just foolish since most businesses are on vacation. You can check with your target colleges and see what is the last test date they will accept. Some colleges are still accepting applications even in the summer, so check with your target schools and ask when their target due dates and deadlines are. Some schools will have application deadlines in January, some in July, and some everything in between. The schools still accepting apps during this time period typically include most state schools and smaller, regional private colleges. If it gets to be January or so and you looking for colleges who are still accepting applications, then go on the Common Application and do a college search, choosing the deadline date for after the current date. You will see a great list of all of the colleges who are still accepting apps! You can always go to college, so get started, set your goal, and don’t give up! Whatever prep you can afford, really throw yourself into it and make the most of it. Your test scores and GPA are by far the most important factors in admissions at the vast majority of colleges. The higher your GPA and test scores, the more likely you are to be admitted AND the more likely you are to receive merit aid from the colleges! Do your test prep homework, even though it’s SO dull. It really does pay off and open doors for you. Juniors, aim to do your test prep July-December of Junior year. Start testing December-January, again, of Junior year. Take both the SAT and ACT once each, to see which one you prefer. Then, you only need to take your better test for the second time, in March or April. You can use May and June as last-ditch efforts to just give it one more go, or you can use May and June to take SAT Subject Tests (see the CollegeMapper handout on this). Hang in there. These tests are pretty yucky, like driver’s ed or getting your wisdom teeth removed, but everyone is suffering through together, so you’re not alone. And remember, it’s all worth it because college is awesome!